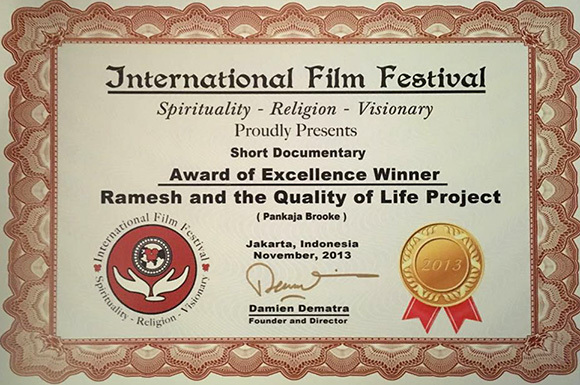 Ramesh is a young man from a very poor family in southern India. The town he lives in is famous for its ancient Shiva temple and for the ashram of Sri Ramana Maharshi, one of India’s most revered saints, which is built at the foot of the sacred mountain Arunachala. Ramesh has a Master’s degree in Bio-Chemistry, and uses his skill and local knowledge to build eco-toilets for the villagers (a struggle against age old prejudices and ingrained habits) – both improving hygiene and making compost for their fields. This is how he helps them to improve their quality of life. Seeing the locals having to do their business in the fields in the early morning, not to mention the (un)hygienic implications, shocks many of the Westerners who, fed up with materialism and stress, come here to improve the quality of their lives by meditating in these peaceful surroundings. Some of them helped Ramesh with his education, and to finance his work. Thousands of pilgrims come to walk barefoot around Arunachala every full moon night, and many foreign meditators join them for this amazing experience. This short film is a gentle look at what it is that improves the ‘quality of life’ for each one of us, and how we make those choices. A German woman talks about why she has come to live in Tiruvanamallai and how she enjoys chanting and meditating in the Ramanashram. Ramesh speaks about his life, his struggle for education, and his dedicated work in helping poor children from similar backgrounds, as well as old people who have no one to care for them. We take a group of old people on the pilgrimage around the sacred mountain on a bullock cart, passing endless temples and enjoying cups of chai, and we end up celebrating the wedding of Ramesh and his beloved wife Mariammal. 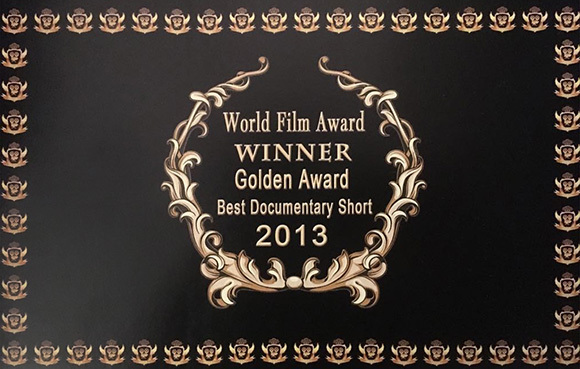 A 3 minute version of this film, called ‘Poo in Paradise’ was shortlisted for The Golden Poo Awards short film competition as part of the Global Handwashing Day and World Toilet Day campaigns 2012. A German woman talks about why she has come to stay here and how she enjoys chanting in the Ramanashram, and we end up celebrating the wedding of Ramesh and Mariammal.